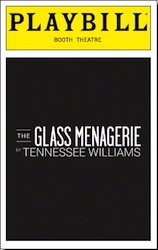 The current Broadway revival is apparently my third time to see Tennessee Williams’ classic The Glass Menagerie. The first was in Eureka, California in a community theater presentation. The second, and the one I don’t quite remember, is the 2005 Broadway revival that starred Jessica Lange and Christian Slater. Will assures me we saw it, but I have absolutely no recollection of it. This production, which runs until just after the new year, is one I expect to remember for years to come. Director John Tiffany perfectly captured the fuzziness of a memory play and turned this into a haunting, occasionally funny and often heartbreaking story of a family falling apart. The four-person cast is exquisite. Cherry Jones was a mix of intense and sadness as a mother trying keep her family together until her daughter gets a job and finds a husband. Zachary Quinto, in his Broadway debut (which follows his amazing turn in the Signature Theatre’s Angels in America), captured the desperation of brother Tom, who wants his sister to be okay while also wanting to escape the suffocating life he’s been dealt. Celia Keenan-Bolger is so quiet, subtle and yet a powerhouse as sister Laura that you so badly want her to find happiness. Brian J. Smith as Jim, the gentleman caller, seems to be exactly the kind soul that Laura needs, until he delivers the inevitable, yet unintentional, final blow to the family. These four, under Tiffany’s guidance, find beautiful nuance to the story that most people know so well. While the entire cast is perfect, I can’t say enough about Keenan-Bolger and Smith. 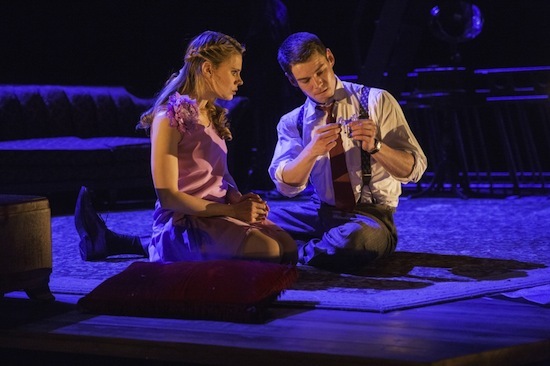 The scene between Jim and Laura, which takes up the majority of the second act, is one of the most perfect things I’ve seen on stage. The chemistry between them–the shy, withdrawn Laura coming out of her shell just a bit and the self-assured, well-intentioned Jim–is a delight to watch, almost making you forget about where it’s going to end. 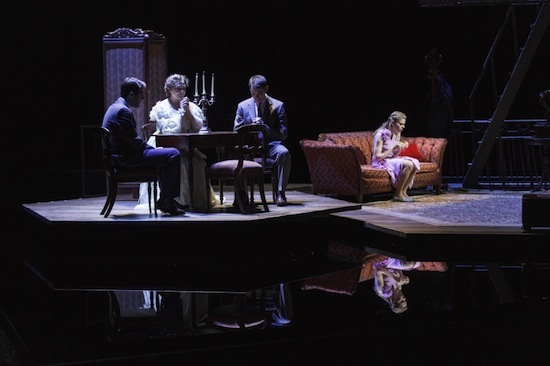 As important as the cast is to making this production work, the scenic design by Bob Crowley, the music from Nico Muhly and the lighting design from Natasha Katz elevates the production to another level. Everything is integrated so beautifully to truly make this memory play take on the feel of memory. The stage, which is set on top of a reflecting pool gives the effect of fuzzy edges like you might see in a filmed flashback. Add the music and lighting and you get a powerful package that redefines this show.